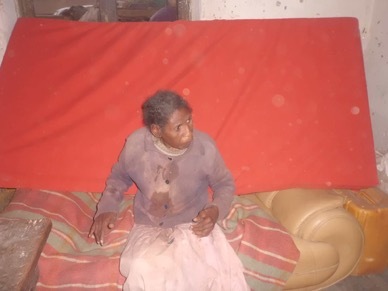 Many people in Madagascar have urgent needs, particularly the elderly. 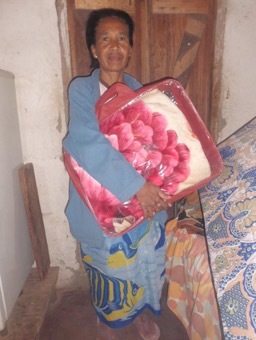 The Mission House seeks to express Christian love in the form of practical help to meet those needs. 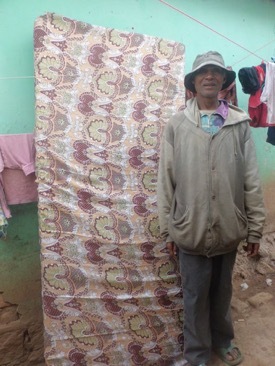 The photographs and testimonies below come from a recent project to distribute blankets and mattresses to the elderly in Antananarivo. 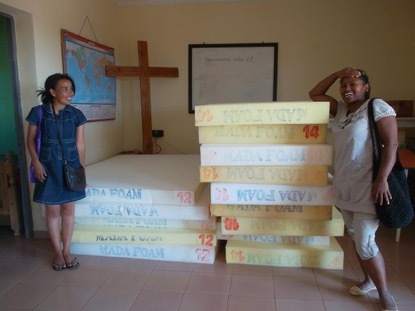 Bako and Naly (staff) with some of the mattresses ready for distribution. 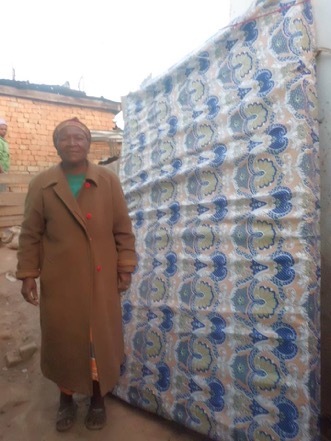 Grandpa Jean writes, “ I make a living pushing a cart but it has never been enough for me to afford a real mattress. May God bless you for giving me this great gift. 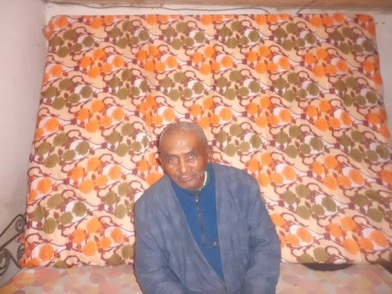 Grandpa Emile says, “ I am 75 years old and I have been struggling with terrible back pain. It has been hard for me to sleep at night on my straw mattress. I thank you for this gift. It will help me so much.